Themed with “Fascinating China, Charming Sanya”, the Sanya exhibition booth was set up at the Internationale Tourismus Börse in Berlin on March 6th 2013. 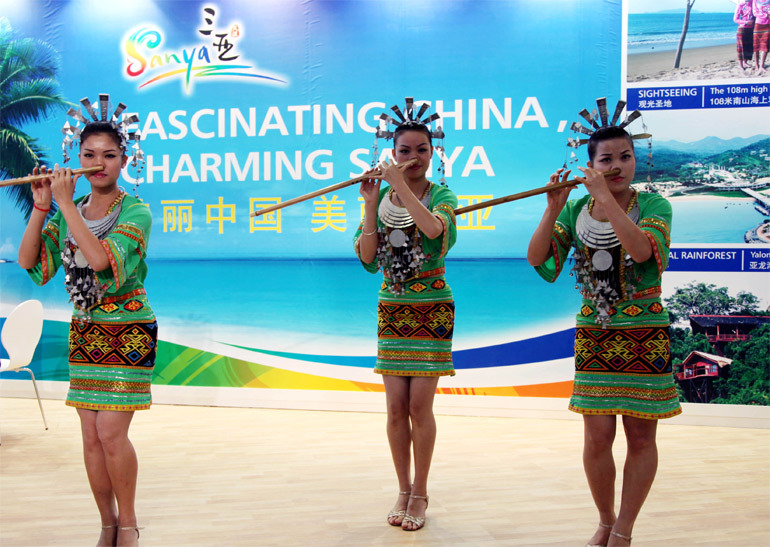 It is the seventh time Sanya has participated in the ITB exhibition, and it is one of tourism destinations which has an independent pavilion at the event to promote itself. The delegation consists of representatives from hotels, tourist boards, tour operators and service companies. As the world’s largest tourism trade fair, the 47th ITB Berlin kicked off at Berlin Exhibition Center on the evening of March 5, and will run until March 10. With 26 pavilions and a total land area of 160,000 square meters, It has attracted 10,086 exhibitors from more than 188 countries worldwide.